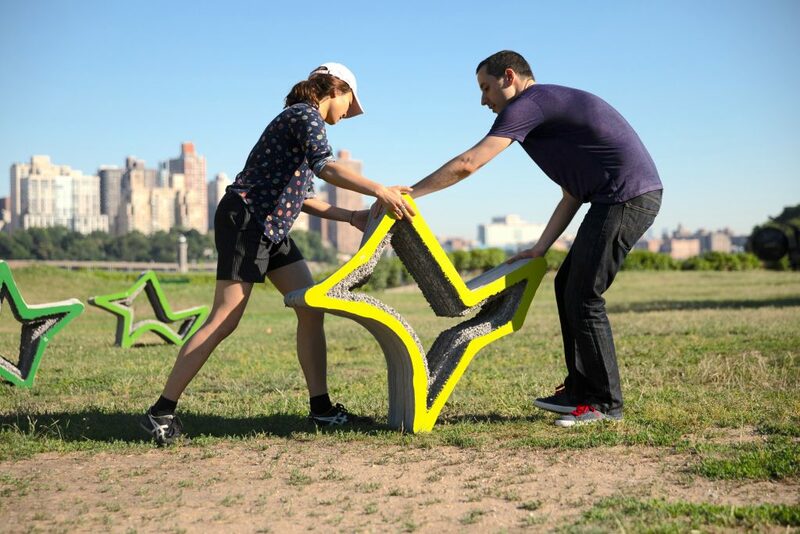 RRRolling Stones, conceived by HANNAH, is a moveable outdoor seating system made from 3D-printed concrete. 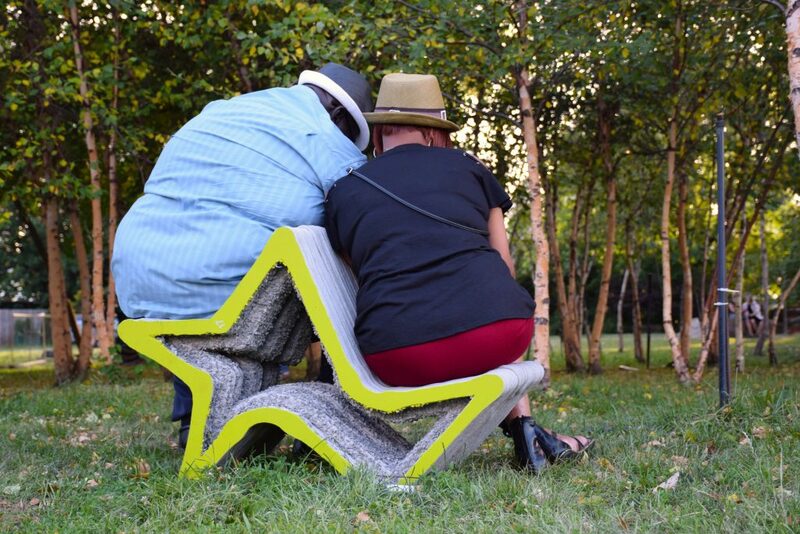 The designers exploit the standard ergonomics of a functional chair to create durable, mobile outdoor seating. 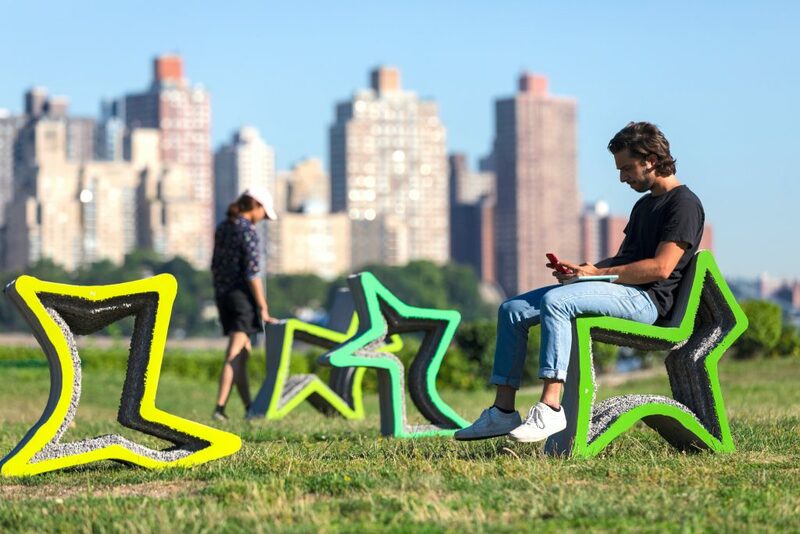 RRRolling Stones’ playful design encourages creative interaction and emboldens park visitors to configure them in original arrangements based on preference and need: linear benches of various lengths; in small clusters; or as solitary seats dotting the landscape. The RRRolling Stones seating was prototyped and printed at the Cornell Robotic Construction Laboratory in Ithaca, New York. Computer-aided manufacturing allows for possible mass customization of similar but subtly tweaked forms. 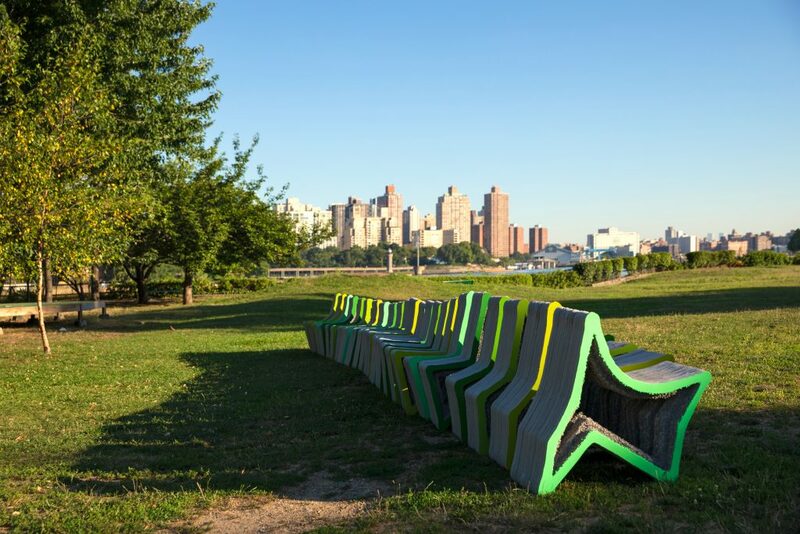 Executed in layers of a special cement mixture reinforced with rebar, the seats’ striated surfaces reveal their incremental manufacturing process. During printing, the seats’ interior is supported with a bed of gravel, enabling the creation of their cantilevered forms. A layer of gravel remains imprinted on each chair’s interior surface, giving it a geologic character. HANNAH is an experimental design practice for speculative and built projects across scales, addressing subjects of architecture and urbanism. The office, led by Leslie Lok and Sasa Zivkovic, focuses on contemporary building practices and utilizes specialized novel material and fabrication methods. The proposal was selected from a group of international submissions by a jury of leaders in the fields of architecture and design, comprising Allan Wexler, Artist; Chee Pearlman, Curator, Arts and Design, TED Conferences; Mark Yoes, Principal, WXY; Leon Ransmeier, Designer, Ransmeier, Inc.; Nick Koster, Project Manager, Snøhetta; and Jess Wilcox, Director of Exhibitions, Socrates Sculpture Park. The competition is directed by Jess Wilcox and Anne Rieselbach, Program Director, The Architectural League of New York. Folly / Function is an annual juried competition challenging architects to design and build a large- scale project for Socrates’ visitors. 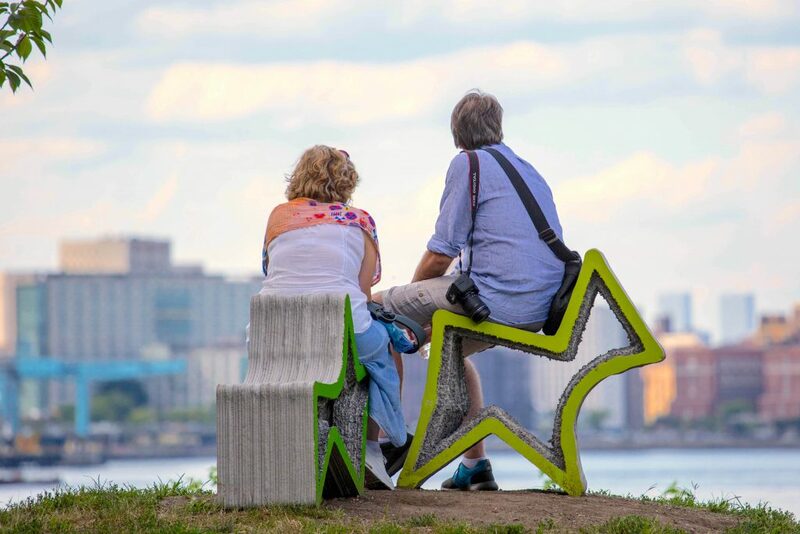 Jointly directed by The Architectural League of New York and Socrates Sculpture Park, the program addresses the intersection of architecture and sculpture in public space. The program began in 2012 as Folly, inviting architects and designers to explore the conceptual framework of “follies”—temporary structures that intentionally served no utilitarian purpose. After five years, the popular program shifted emphasis in 2016 to Folly/Function, where the competition now invites entrants to fuse form with utility to design lasting Park infrastructure. 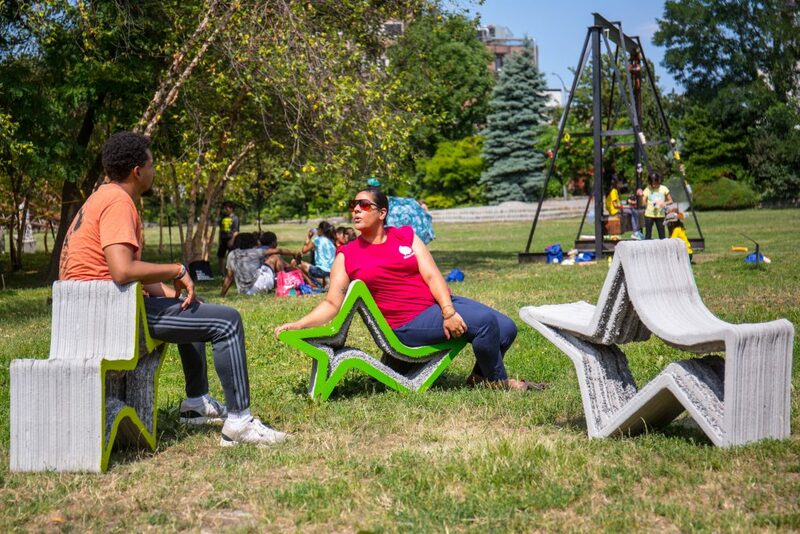 The 2018 competition asked entrants to propose movable outdoor seating to be used in the Park.Previous winning proposals include Circle Shade 2πR4 by Eva Jensen Design LLC (2017), Sticks by Hou de Sousa (2016), Torqueing Spheres by IK Studio (2015), SuralArk by Austin+Mergold (2014), tree wood by Toshihiro Oki architect p.c. (2013), and Curtain by Jerome W. Haferd and K. Brandt Knapp (2012). HANNAH is an experimental design practice for speculative and built projects across scales, addressing subjects of architecture and urbanism. The office, led by Leslie Lok and Sasa Zivkovic, focuses on contemporary building practices and utilizes specialized novel material and fabrication methods. HANNAH’s object of inquiry is material, process, and construction. At HANNAH, we misuse technology, print mischief, and aim to co-construct new architectural narratives that push disciplinary boundaries. Folly/Function is supported with a generous grant from the Graham Foundation for Advanced Studies in the Fine Arts, and made possible, in part, by public funds from the New York State Council on the Arts with the support of Governor Andrew M. Cuomo and the New York State Legislature, and the New York City Department of Cultural Affairs, in partnership with the City Council.